I have been working since 1990 for the University of Hawaiʻi at Hilo as an Administrative Professional Technician (APT), serving both the Geology Department and the Center for the Study of Active Volcanoes. My job involves assisting the Director of CSAV and the Geology professors. I coordinate projects including field work, equipment maintenance, student safety, and library resources. I'm sort of like the air traffic controller at an airport. 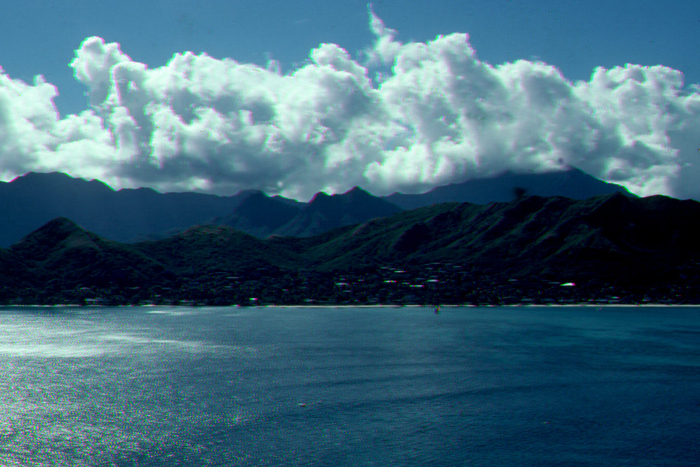 I grew up in Lanikai, on windward Oʻahu. I enjoyed classes at the University of Hawaiʻi, then graduated from the University of Northern Colorado. In Colorado, I worked a summer construction job helping to build steel warehouses, which taught me to manage time and resources efficiently. This proved invaluable when I moved to Alaska and landed a field job as an Engineering Geologist for a company that tested soils (percolation and compaction tests, sieve analysis), because I worked with drillers and backhoe operators, and needed to coordinate schedules to minimize down time. In Alaska each winter, the ground would freeze, and work would slow down, so during the four years I worked there, I would take off to go traveling each December, and return to my job in the spring. In 1986, I moved back to Hawaiʻi to take up windsurfing. I became the caretaker for a beach house in Lanikai, and simultaneously was hired by Hawaiʻi Natural History Association on the Big Island for editing and writing projects, which involved collaboration with HVO. Just when my HNHA projects were winding down, CSAV was starting up. I applied for the APT position, and my background--a degree in Geology, field experience in Alaska, collaborating with HVO, and my local contacts from growing up in Hawaiʻi--was a perfect fit.